Urgent care services from Dr. Yasser Salem at Quantum Healthcare in Crivitz, Wisconsin are available during all office hours. The Quantum Healthcare team understands that acute medical issues aren't something that you plan ahead for. When you need help with migraines, strains, sprains, asthma, or other urgent but non-emergency conditions, we're here to help. Urgent care is medical care that's not scheduled but which requires immediate attention. Urgent care situations are not life threatening emergencies. Situations like gunshot wounds require an immediate trip to the nearest emergency room, which situations like a severely sprained ankle can easily be handled on site at Quantum Healthcare by Dr. Yasser Salem. What Type of Situations May Require Urgent Care? One of the biggest mistakes that many patients make is minimizing their symptoms, or assuming that their symptoms will go away on their own. If you don't get treatment promptly, you're likely to spend a number of miserable hours and even days waiting for the problem to resolve. Often, the problem won't go away -- and it may even worsen. The sooner that you acknowledge the problem and get help, the sooner that you can feel better and get back to living your life. If you have any question about whether a situation could be urgent, or if you're not sure whether to go to the emergency room or to come in to see one of our doctors, please call the Quantum Healthcare office -- we're happy to advise you. How Long Will It Take to Be Treated? At Quantum Healthcare, we make every effort to see urgent care patients as soon as they arrive. To help us better arrange the schedule to accommodate your urgent care needs, please call ahead to advise us that you're on the way. This allows us to see you promptly and allows us to alert one of our physicians about your situation. Your comfort and well being is our top concern, whether you're here for a schedule physical exam, a scheduled appointment, or for urgent care. 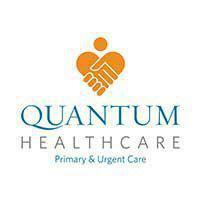 When is Urgent Care Available at Quantum Healthcare? Urgent care is available during all of our regular office hours. The Quantum Healthcare team understands that urgent healthcare needs tend to develop suddenly and unexpectedly, so you can rely on us to take care of you when urgent needs arise.